We have provided the information below so you can make an informed decision about the cookies used on this site and given you details, if you want to refuse consent, about how to delete and block cookies from this site by using the comprehensive cookie management facilities provided with popular browsers. There are Essential Cookies and Non Essential Cookies, essential cookies are required for some features of the websites you visit to work correctly, in the case of this website cookies are required so that visitors can sign up for memberships and also so the website knows and and can tell your web browser that you are sign in to your account. Websites have no memory, first party cookies such as session cookies (cookies deleted when you close your browser) are used by the website you are visiting to remember your navigation through the site. What this means is any choices or actions you make during your visit, such as adding a booking to an online shopping cart, without a session cookie to remember you had done that your cart would be empty when you came to complete the transaction. Third Party Cookies are generated by websites other than the one you are visiting and is usually part of a hosted service, such as a booking system or an online video player both of which are used on this website. 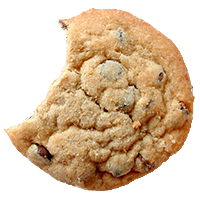 Most modern browsers offer the ability to block just third party cookies only or to delete them on exiting the browser. See below to learn more about the cookies used on this site. Should you wish to not allow cookies from our site, you are able to make that decision via the cookie notice when you first come to the site, however doing so will likely mean that our site may not work as you would expect, such as being unable to make an online membership or sign in to your membership account. As we have said above, cookies are used on this site to make the site work better and we are committed to using cookies responsibly. There are essential cookies and non-essential cookies, for instance if you if you decide not to allow cookies your browser would need to have a cookie placed on it to say that was your decision. This is an example of an essential cookie. Most modern browsers will also let you clear your cookies when you close them, this way you get the ease of use that comes with allowing cookies but nothing is stored on your computer afterwards. This would mean you would need to log back in to any online accounts, such as Facebook, Instagram, etc. but would be a good compromise.